Fundraiser by Perry Plush : Zanadu Comics needs YOUR help! Zanadu Comics needs YOUR help! The CRISIS is upon us!! 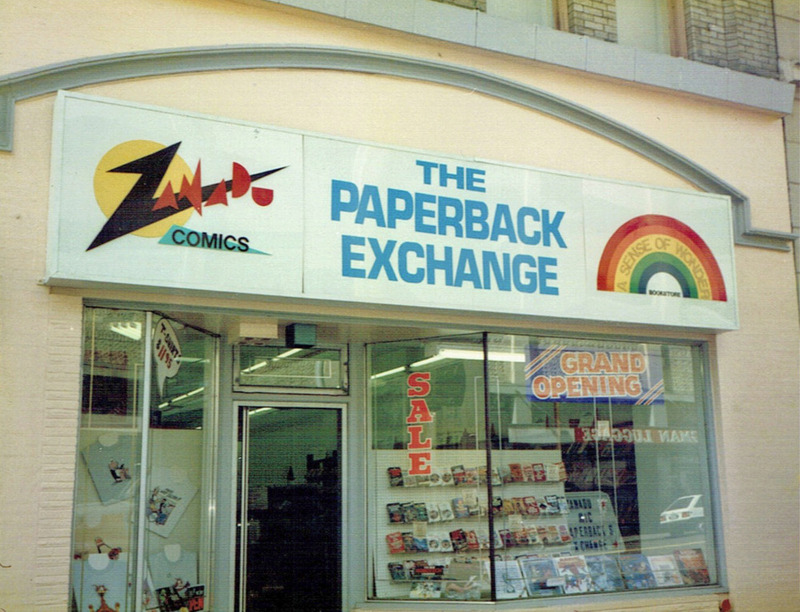 After 41 years of fighting in the trenches of comic book retail, Zanadu Comics is in danger of losing the battle against economic downturn, increased business costs, and unfortunate city developments which includes a possible relocation due to building renovation late next year. 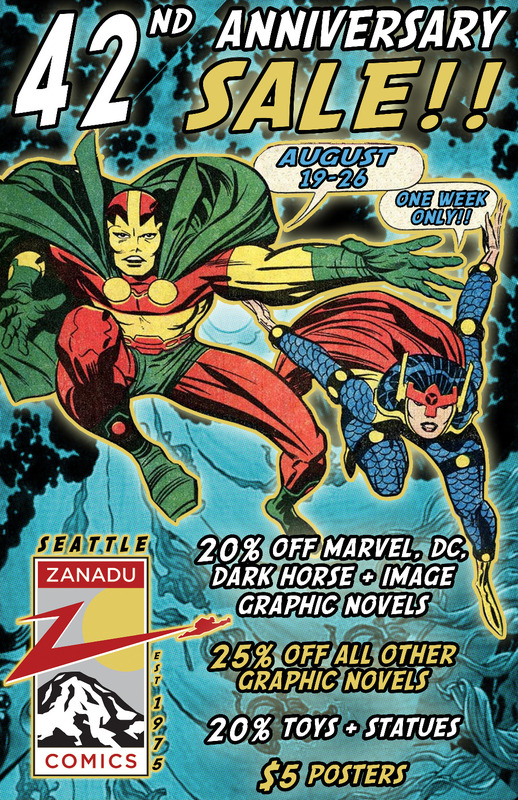 These factors have dealt a deadly blow to the mighty Zanadu, but with YOUR help, we can continue to provide Seattle with the kind of comic book shop it deserves while still maintaining the level of service that our customers have come to know and love. It's hard to admit when help is needed, even harder sometimes to ask. So it is with a heavy heart that we reach out to YOU, our loyal customers and ask for your understanding and support in these dark times. 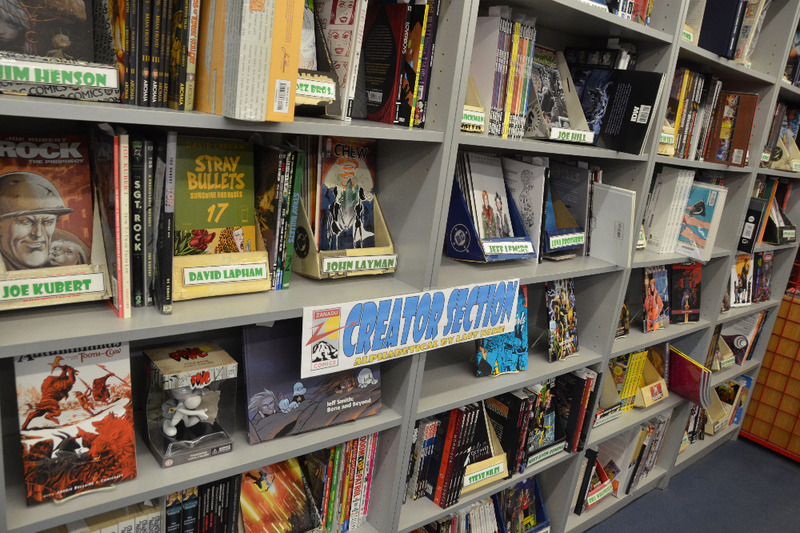 Let's keep this gateway to imagination open for you, your family and future generations of comic book readers!! Much love to all our customers for their continued support over the years—it has meant everything to us who call Zanadu our home. Here's a few shots of the store in its current incarnation. Make sure to stop by if you are in the Seattle area and experience a true Emerald City landmark! The good guys don’t always win. Unfortunately, our world is harsher than that of comic books and after 42 years of battling in the trenches of comic book retail, Zanadu Comics will be closing its doors at the end of January 2018. Believe us when we say that this decision was not made lightly. There are hundreds of reasons we could list, but the truth is that the money coming in does not equal the money going out. Perry has worked and hustled and played the angles for longer than he should have been able to, but time has a way of catching up with even the most diligent businessman. The industry has changed, our clientele has diminished and unfortunately, we are just too far in the red to continue to serve as your local comic book store. Words cannot express how deeply Zanadu has appreciated our customers over the years, especially the Wednesday Warriors who made the weekly pilgrimage in rain, snow or shine (or riot) to get their fix. You are the reason why Zanadu has been able to keep the doors open for so long and we’d like to think that we did our very best to provide a fun, comfortable and enjoyable shopping experience for every single person who walked though the door. We tried to make a place where we wouldn’t just sell comics, but help people find stories that would live with them forever. In addition, the support for our GoFundMe campaign this past year has been staggering and it’s nice to know how much Zanadu has impacted people’s lives since 1975. It has been our absolute and utter pleasure to serve your comic book needs, but alas the dream has ended and it’s time for us to get real jobs. Our final day of business will be Sunday, January 28th with the 24th being the last Wednesday we will receive new comic books. Our orders will be very tight throughout the next two months, so we apologize in advance if we sell out of your favorite issue quickly, but there is little option as we don’t want to be stuck with extra stock upon closing. Please let us know if we can hold or special order anything in the next two months, though be aware that it must have a release date of 1/24/18 or before. 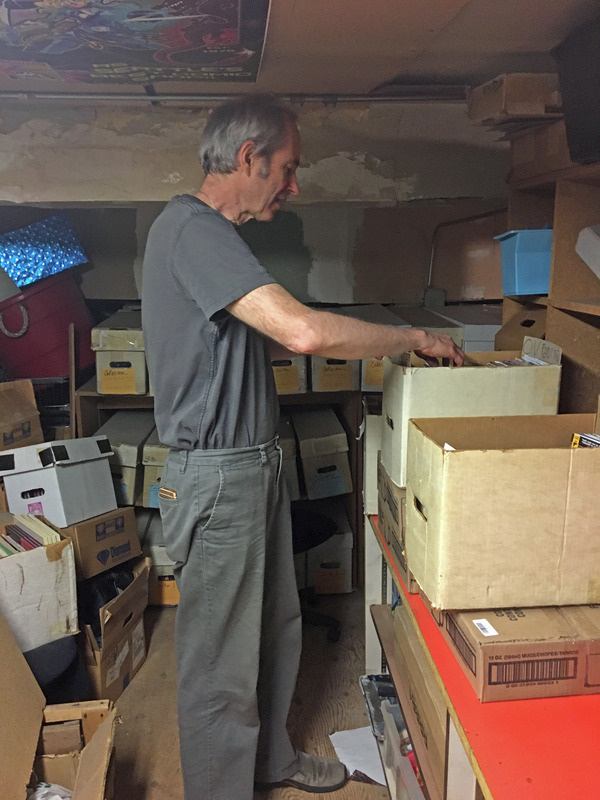 We will be filling subscriber orders until January 24th, so if you are a subscriber with us, please stop in before Sunday, the 28th to clean out your holds. Also, Zanadu is currently having a MASSIVE sale to make the move out process easier, so if you’ve had your eye on something, now is the time to do a bit of early holiday shopping for yourself or loved ones. The battle may be finished, but the war is far from over because like any good super-hero story, there is never an end, just a slow fade out to a new beginning. Zanadu will be re-emerging in the near future in an online capacity, so keep it tuned here for more info. 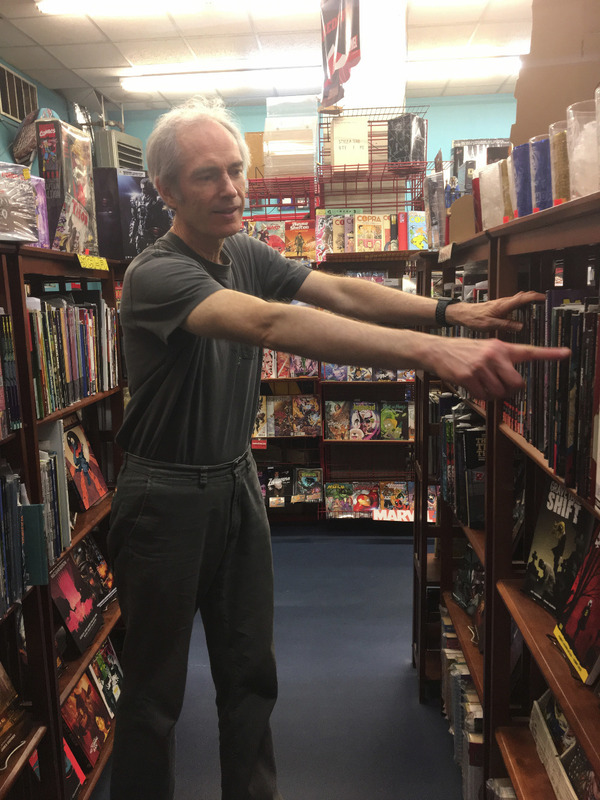 The joy of sharing our unabashed love of comic books with Seattle for 42 years is something that all of us here at Zanadu can be proud of, especially Perry, president and janitor, who sacrificed everything to keep this place alive for so many years. 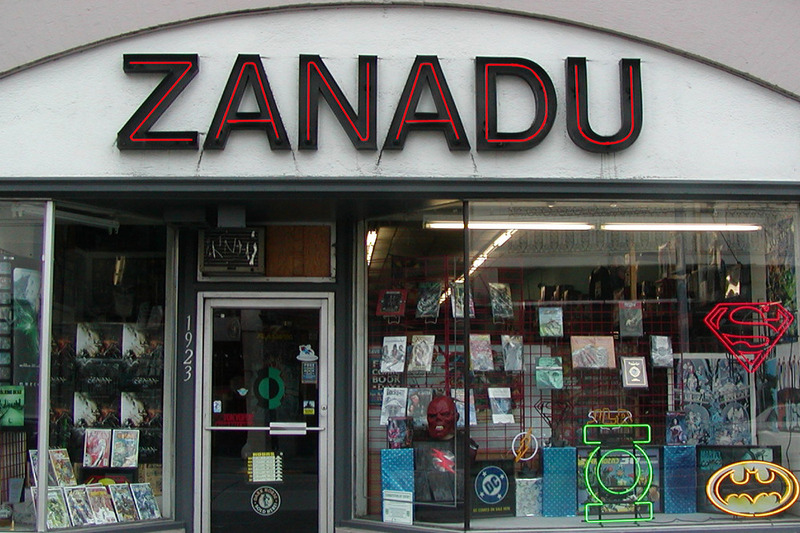 Our deepest thanks to every single person who helped build Zanadu up from the small, shared space in the corner of a used bookstore to the third avenue location that we all know today. The love and positive energy provided by you all will ensure that the legend of Zanadu will forever be remembered in the hearts of comic book lovers everywhere. We have also adjusted the reward levels, so please take a look and see if there is anything that catches your eye! Greetings from limbo or The Negative Zone as we have been calling it lately here at Zanadu HQ! Since our last transmission, we’ve received word from our allies at Plymouth Housing that the earthquake retrofit has been delayed until sometime next year. The bottom line still stands—Zanadu will most likely be scouting for new locations in the near future. Have no fear, though, we will do everything we can to continue to provide Downtown Seattle and beyond with the very best in comics, graphic novels and other awesome geekery. In fact, we’ve got a little secret for ya…August 2017 marks the 42nd year since Perry Plush opened the doors of Zanadu and what better way to celebrate than by having a MASSIVE SALE for all our longtime and new customers!! We are talking once a year, mind staggering deals and discounts so good that the boss is probably losing sleep over ‘em! The festivities start with a special sneak preview night on Friday, August 18th from 4-7pm and continue through August 26th. 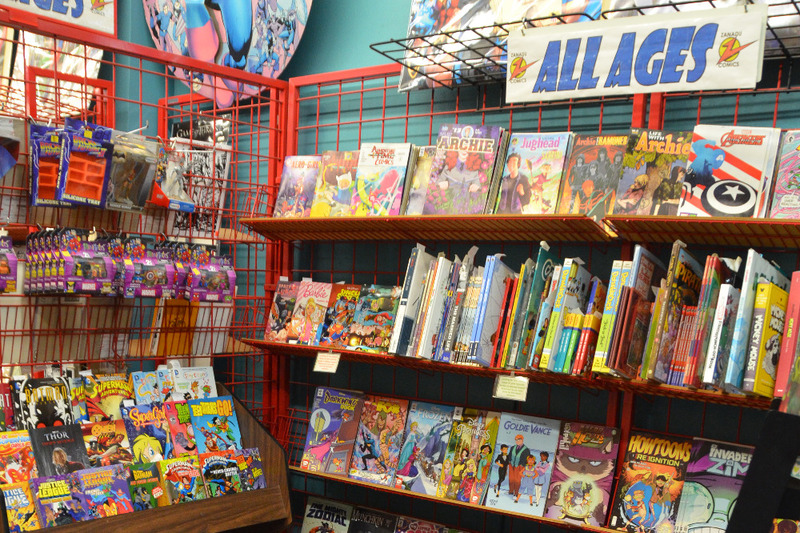 Stop in from now until August 17th and receive your special invitation to be the first in line for super savings on graphic novels, toys, clothing and more! 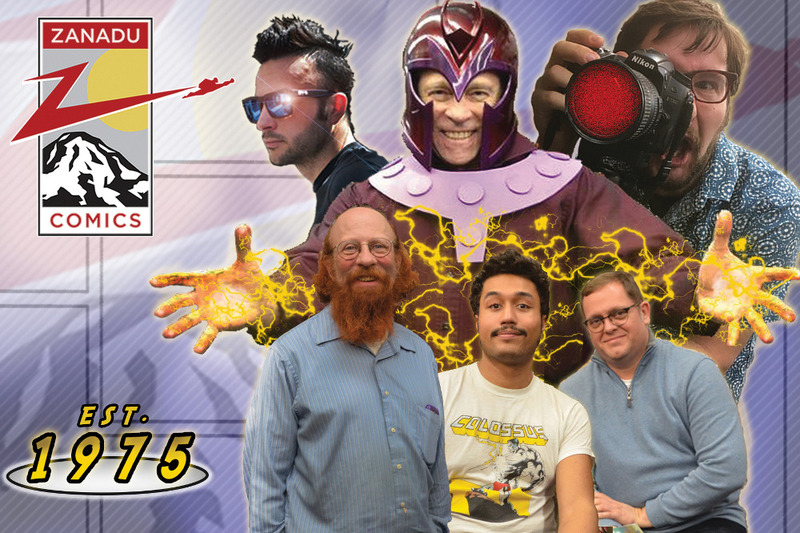 Check out our Facebook page ( http://bit.ly/2f363VU) for full event details as well as the latest updates on our never-ending battle to survive in the comic book retail trenches of Seattle. From the bottom of our hearts, thank you to everyone for your continued support, whether it be through the GoFundMe campaign, in store donations or to those who just come in every week to get your fix—we would be nothing without you. August is also the 100th birthday of Jack Kirby to whom we will be paying tribute to in our series of ads for this year’s big sale. So keep an eye out for those bombastic, jaw dropping gods of imagination on our social media outlets heralding the latest happenings of our 42nd anniversary!! Oh, the joys of working at a comic book shop! 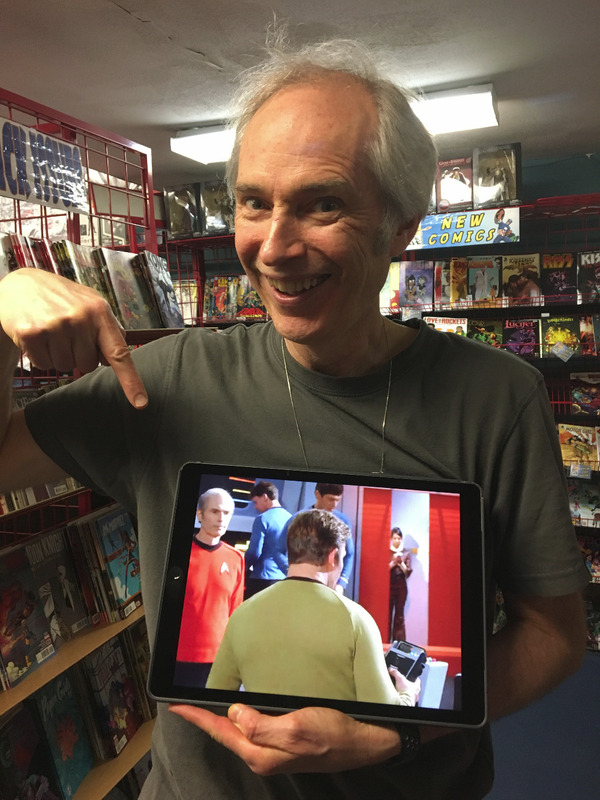 Steve Schumacher, one of our very generous donors and old school customers, had the opportunity/misfortune of learning what goes on behind the curtain at Zanadu Comics! Boxes! Comics! Comics in boxes! Splinters! Bruised heads! Confusing alphabets! 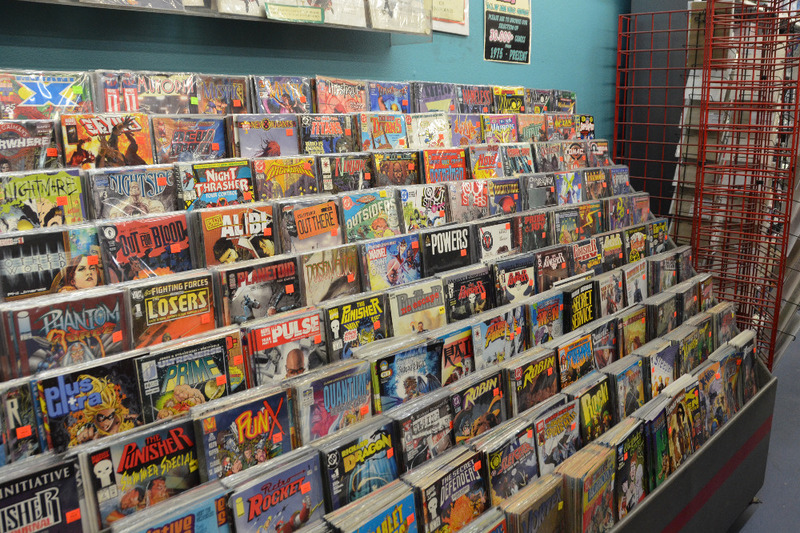 YES, all this and more is awaiting you in the fruitful field of comic book retailing!! Seriously though, big thanks to Steve for braving the rainy day ferry ride to spend the day with his favorite comic monkeys! Forty-two years is no joke. Grinding it out, day after day, eight hours at a time doing anything is hard--but it's doubly difficult when you're talking comics. 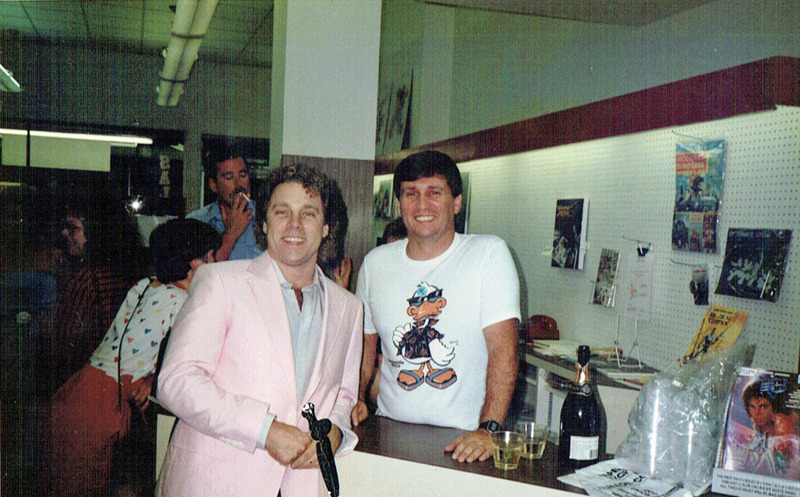 Glamorous though it may seem from the outside, the true life of a comic retailer is a never ending evolution of reinvention that few have the constitution to withstand. 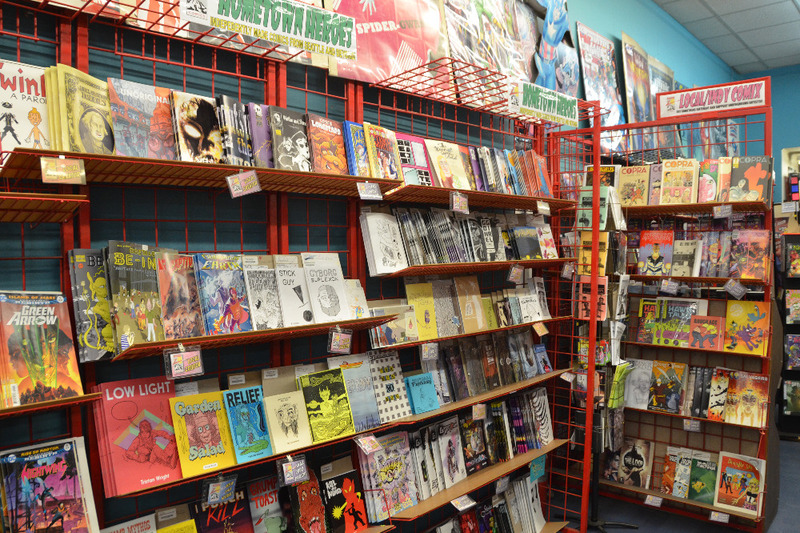 Just take a look at how few comic shops there are now compared to fifteen years ago. Hell, ten years ago! This is not a forgiving business, and, as a retailer, we bear the brunt of the risk when it comes to stocking publisher's products. Guessing at what will sell, figuring out how to market that which doesn't, gambling with thousands of dollars a month…this life is not for everybody, but for those able to roll with the punches, a successful comic shop is like the home away from home every geek wishes they could build. 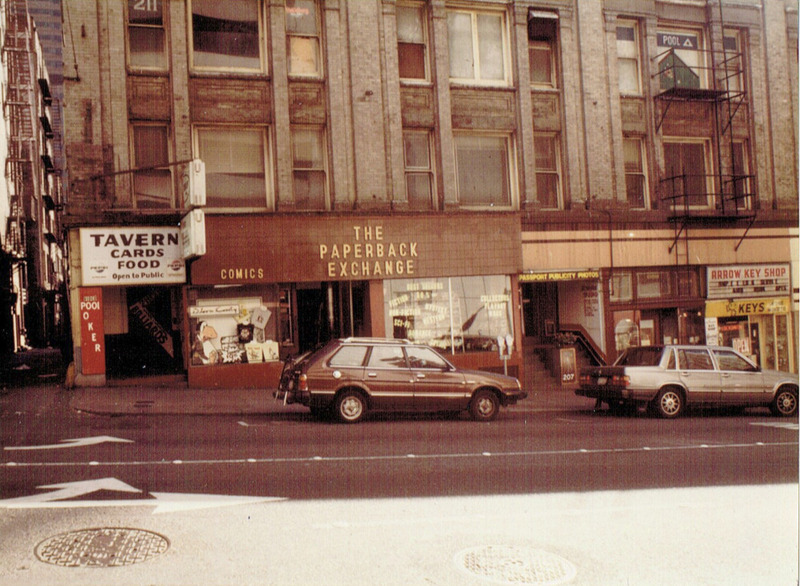 As a special treat, we've unearthed some rare artifacts of days past from the dusty attic of Zanadu that reveals just a bit of our long and storied history here in Seattle. Thank you so much to everyone who has been a part of the Zanadu family over the years, we would not have survived without your dedication and support! Donate this amount and receive an official Zanadu Comics No Prize! Donate this amount and receive a limited edition Zanadu Comics postcard featuring your favorite comic monkeys! Donate this amount and receive a ltd. ed. Zanadu Comics glass coffee mug! See updates for more info! Donate this amount and receive a limited edition Zanadu Comics t-shirt produced exclusively for this campaign! Men's & women's sizes available. Donate this amount and receive a coupon good for (1) in stock statue retailing at $150 or less! Delve into the treasures of our mysterious attic! 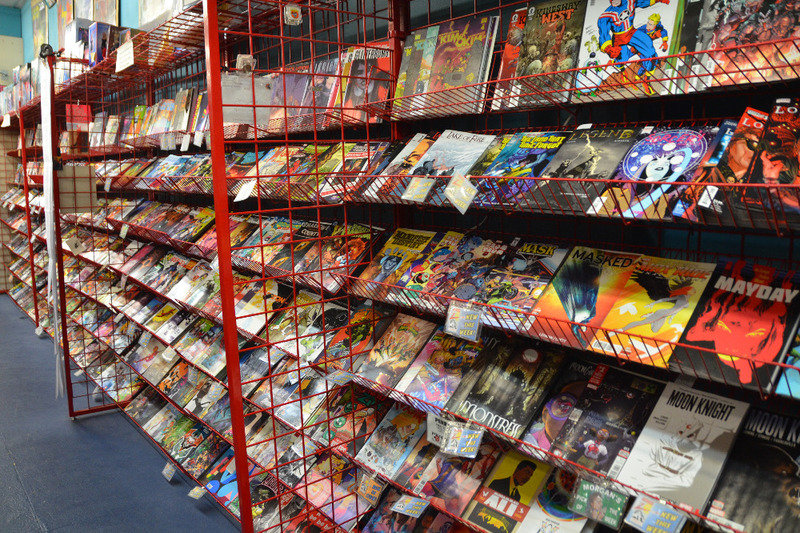 Fill up a box (about 200) of comic books from our vast back issue selection! Includes Comic Monkey assistant! Donate this amount and receive an unopened 43" Vizio E-Series Smart TV with wi-fi capabilities! Stream Netflix and never leave your house! Donate this amount and choose from one of the Boss' one of a kind, hand crafted models! AND get a 10% discount for life on all purchases! I am so sorry this is happening! Best regards to all of you! I recently discovered Zanadu and I am not ready to lose my new favorite shop!